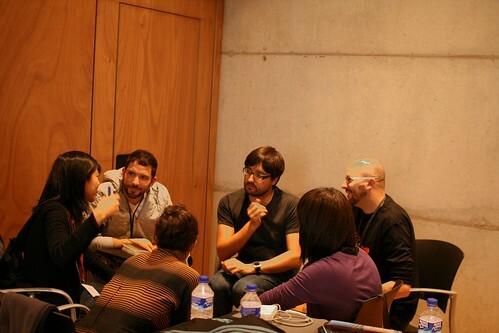 Last saturday at Citilab in Cornella, near Barcelona, Fabien and myself organized a "lift @ home" event. 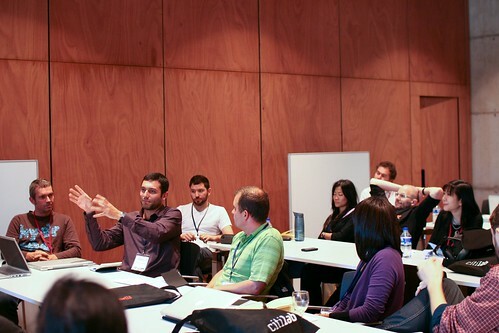 A one-day long workshop, this event was called "Hands on Barcelona's Informational Membrane. It was part of a series of seminar about the new practices as well as the visions and issues around the hybridization of the digital and the physical in cities. We focused on the informational membrane hovering over Barcelona and try to sketch near-future scenarios with datasets and infrastructures existing in city. The goal was to understand a contemporary urban software infrastructures and explore the implications (trade-offs, opportunities and concerns) in the data they generate. The effort was put on Barcelona’s specific issues (e.g. mobility, infrastructure, tourism, gentrification, ecology …) and their related datasets. We had a group of 30 participants coming from very diverse backgrounds: designers, engineers, people from the city of Barcelona, ethnographers, architects, etc. both from the area and abroad. We started from a presentation&discussion about the general problems of Barcelona and the available data. Then small groups have been formed to work on how to use the existing infrastructures and data to create potential solutions in terms of services. 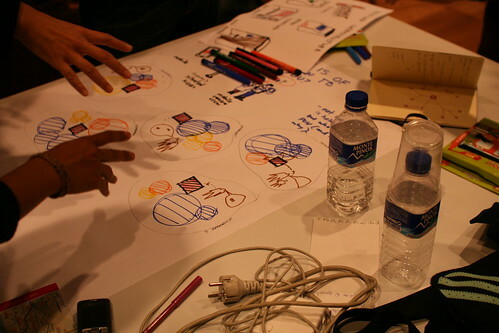 The assignments led people to go beyond traditional techno-determinism to envision social and organizational framing. We're working on a short write-up document for this workshop. Something that would summarize the findings and pave the way for upcoming seminars.